I congratulate you to a very good solution to breeding this species. I am really happy to see the pictures! How did the process go, with raising the hatchlings etc., after they had laid the eggs? I know that this species are quite protective. I am looking forward to hear more about this very interesting subject. Congratulations!!! I wonder if the mud from the vernal pool had anything to trigger the breeding? What ever it was, it is a great achievment and makes me want to work harder to breed mine! Good luck with raising the larva, I am sure you will not have any problems. Congrats! I've heard of this whole low bowl and the simulation of seasons from previous breeding efforts, but I am extremely giddy to see one person being successful in Opacum breeding. Good luck on the eggs and larvae! How are the eggs have they hatched yet? A couple hatched prematurely due to an error on my part (too much moisture in the container). I've given the majority of them away already so maybe a few of those members will post an update when they hatch them. Just hatched out a batch of eggs from Justin successfully. 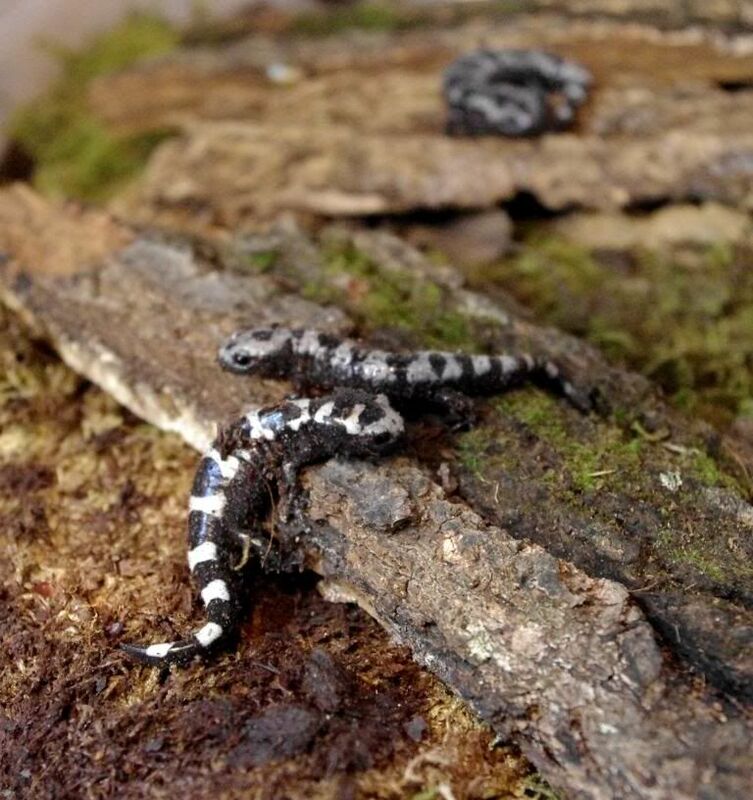 I'll start a new thread with pictures and video of these little guys similar to the C. e. popei thread I have later this week. Twenty minutes between adding water to having free swimming larvae! I have had the luck to be intrusted by Justin to raise some of his cb.opacum larva! I've raised many over last 30+ years, but none have came even close to the size (3") at morphing! They were raised like I raise all my newts and sals. larva in a 10gal.pond tank, that was started back in October! They were not pampered, only the strong survive! Out of the dozen that Justin sent I still have all 12, Hopefully the morphing goes a smooth! Great job, Justin Keep it up!!! Here is what they look like today. As you can see they aren't too close to morphing nor are they coloring up any. They look great, keep up the good work Justin! Wow, awesome... 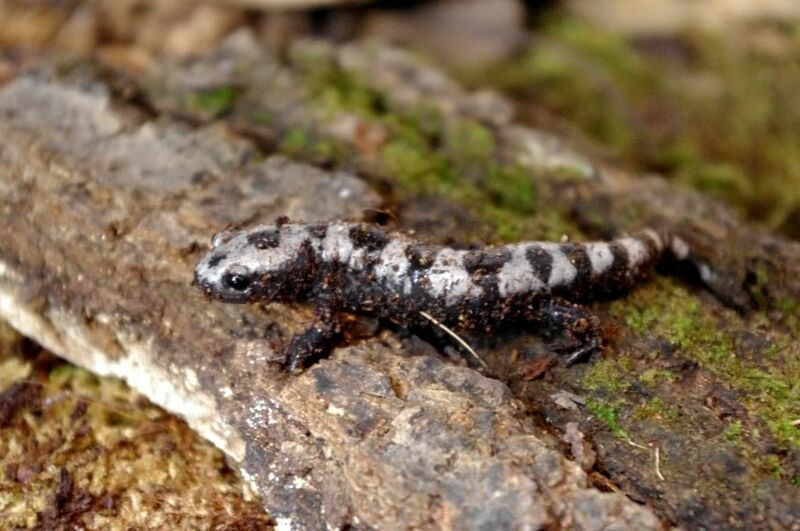 I am a big fan of A. opacum but I am somewhat ashamed to admit that, back when I was less experienced in how to keep salamanders properly, I actually thought that they were, um, difficult to care for. 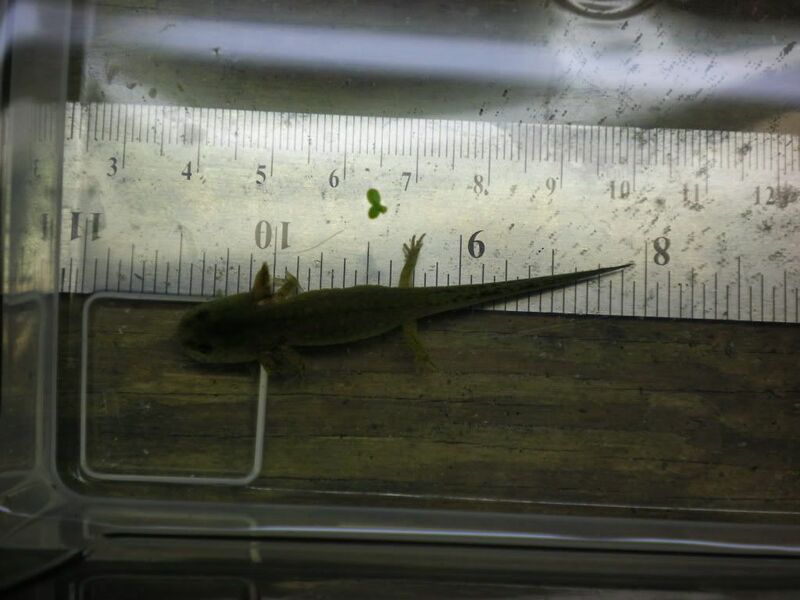 Now that I know more about providing moist but well-drained substrates, easily-exit shallow water bowls, hide spots and cool temps, the problem is the opposite -- I have to be careful that my salamanders don't eat too much and become obese! I never really dreamed, however, that they could be bred in captivity, especially indoors. Nice work! P.S. Can you give me some tips on how to upload and attach pictures???? Here is a guide on how to post pictures. How are the opacum doing? Well, Justin you have the pics. Here they are at about 2 months post morph. They morphed out at a little over half the size of an adult! In this picture you can see an adult female in the background. What a treat for the eyes, Justin! Very nice Justin - well done. hey justin. 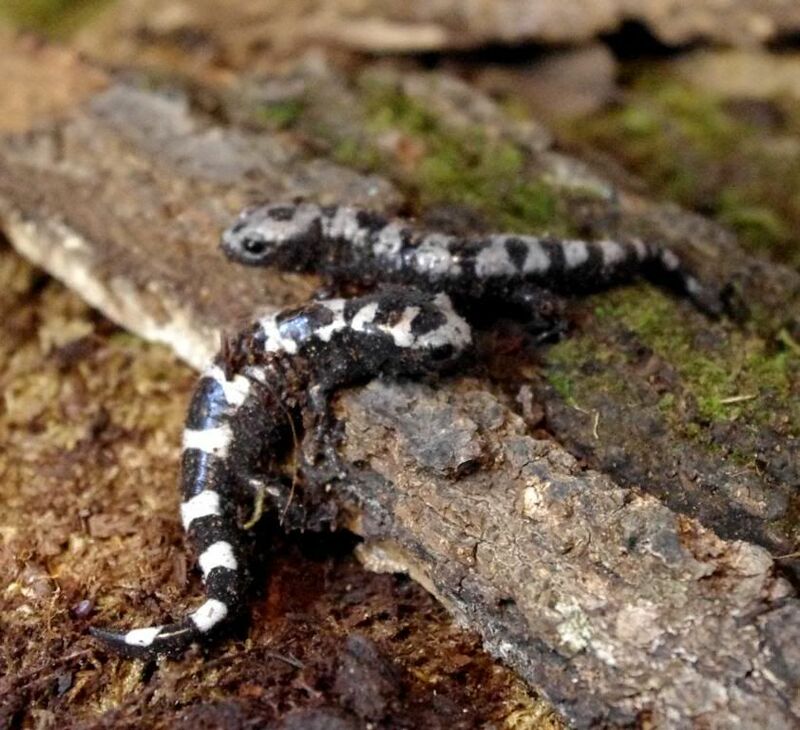 I have only one morphed salamander and i am have trouble feeding the sal. I am offering the sal tiny crickets,tiny rollypollys and some small ants, do you have any suggestions?